As promotion for its new community planning game, CommunityPlanIt, Emerson College’s Engagement Game Lab highlights the frustration that can come with trying to get to a midweek town hall meeting where ideas are often at risk of getting lost in the crowd. 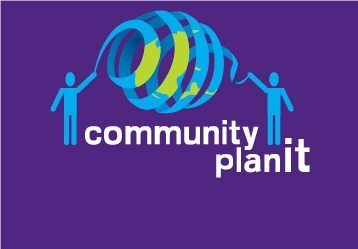 As an alternative approach and as a way to engage a broader cross-section of community members in the planning process, the Engagement Game Lab presents Community PlanIt as an online game that is fun and also boosts offline engagement. Already tested in Philadelphia, Detroit, and Salem, Massachusetts, the game is structured around local missions and challenges submitted by government agencies or community organizations. Individuals register to play online in either a stakeholder or observer role and their progress is evaluated by the administrating organization (as an example, in Philadelphia, staff from the mayor’s office held this role), which allocates “coins” for winning steps along the way. Players pledge their “coins” to one of a list of pre-selected nonprofits; the organizations with the most pledges are then able to convert their “coins” into cash. The project is funded nationally by the Knight Foundation and the MacArthur Foundation, along with a range of other local entities. Just as the Lab promotes Community PlanIt’s “powerful data collection tool” that makes it possible for local planners and decision-makers to “analyze citizen input and truly incorporate it into the planning,” it has also been looking closely at who has been playing in each city, and doing related research. Participation in the last few cities has revealed that the game has had particular success drawing students under the age of 18. Referring to the individuals in this young demographic, Eric Gordon, director of Engagement Game Lab, told Co.Exist “This is their first introduction to anything to do with civic engagement. They provide really meaningful input into these issues.” Building on these findings and as a way to get Community Planit to even more local areas, Engagement Game Lab is now in the process of developing open-source curricula for students and adults.